Four seasons in and Lex Luthor has finally made his way to The CW’s Supergirl. Even more surprising? Jon Cryer’s startling take on the character may be the most effective onscreen version yet. If you’ve been watching Supergirl this season, you know that over the past few months National City and the world at large has become a powder keg. Ben Lockwood has helped stir up anti-alien sentiment throughout all pillars of society, while the Children of Liberty continue to violently attack non-humans. Meanwhile, Manchester Black fights their fire with equally radicalized fire, killing anyone who would suppress alien rights. Lena and the D.E.O. are at work on a kryptonite-fueled formula capable of giving humans superpowers while all the way across the world, a Kasnian-grown clone of Supergirl stands ready to be unleashed. As if this isn’t enough, Brainy’s lost his Legion ring, J’onn’s becoming unhinged and James Olsen has just been shot. So, imagine what’s likely to happen when Lex Luthor enters the scene. The longtime Man of Steel nemesis makes his Supergirl debut in this Sunday’s episode played by actor Jon Cryer…though you may find yourself surprised at the state this new version of Lex is in. Having spent the entire series behind bars for crimes against humanity, Lex has fallen terminally ill and is furloughed in the care of his sister after he suffers from a minor stroke. Lena’s still-unfinished formula may be able to cure him, and it’s Lex’s hope that he can help get his sister across the finish line. At least, that’s what he claims. Though we all know how trustworthy Lex Luthor typically is. However, unsurprisingly, Lena is mistrustful of him. She knows what Lex is capable of and how he’ll stop at nothing to get what he wants. And right now, she’s the person in the way of what he wants. Of course, Lex also realizes that Lena sees him this way, and understands that getting the cure is going to depend at least a bit on her not trusting him. Lex, even if he’s dying, would never come to her with his heart on his sleeve looking to make amends. As longtime Superman fans know, Cryer has a history with Lex Luthor—he played Lex’s nephew, Lenny Luthor, opposite the legendary Gene Hackman in 1987’s Superman IV: The Quest for Peace. However, his appreciation of the character extends long before that. That history also helped him tap into the character, who will recur on Supergirl for the rest of the season. And yes, illness or not, he’s definitely a villain. “I think it really energizes the second half of the season because his presence in the show and the story we’re telling really creates a singular villain that drives everybody’s agenda moving forward,” shares Executive Producer Robert Rovner. In fact, as Rovner teases, he may have been driving people’s agendas from the start. “Lex Luthor’s involved in everything that’s happened this season,” he reveals. Have no doubt, if Lex views Superman as a threat, he views all aliens as a threat—including Kara. And in perfect Lex fashion, he justifies his outlook by taking a big picture view. 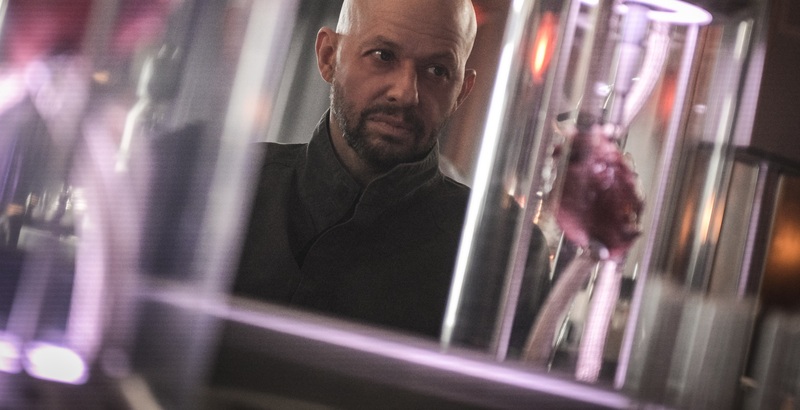 Jon Cryer makes his Lex Luthor debut on Supergirl this Sunday at 8 p.m. (7 p.m. CST) on The CW. For all of the latest Supergirl news, features and conversation, click here.